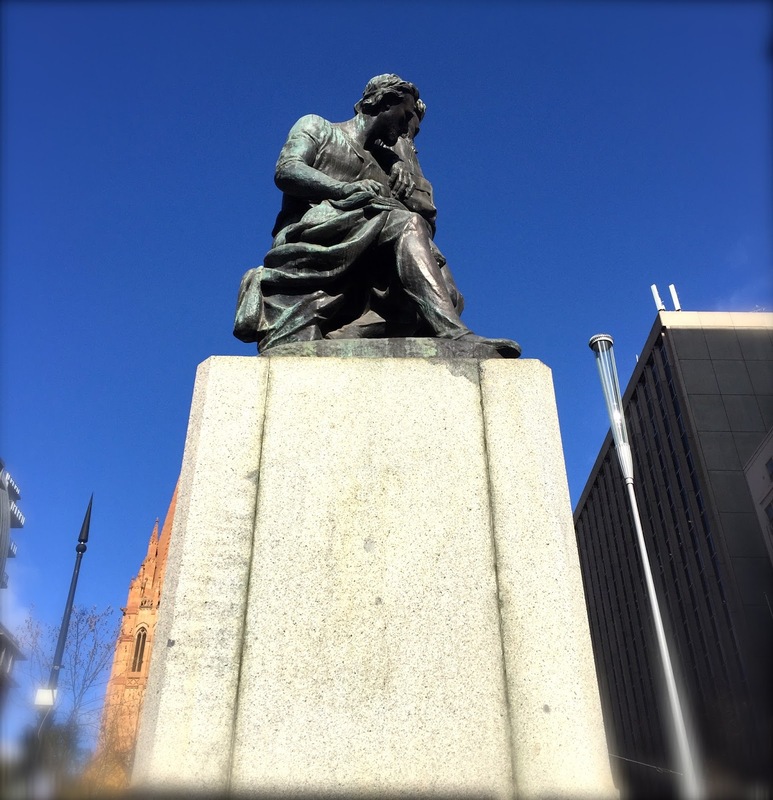 So In Love With Melbourne: Burke and Wills statue- heroes or fools? Burke and Wills statue- heroes or fools? The Burke and Wills story, a supposedly heroic tale encapsulates all the perfect ingredients of a potentially successful blockbuster: A noble mission to unfold riddles of inner continent, starving explorers confronting unknown wilderness at the far north of Melbourne, tough endurance of formidable desert, a journey beset with scarcity of foods and treacherous weather. The legend ended with tragic deaths of the protagonists and a posthumously erected Michelangelo-style sculpture. With a little sprinkle of skilled cinematography and euphonic sound mixing, the story might have easily turned into the next Oscar-winning Revenant. Yet how we wish the over-glorification could be justified without a pang a doubt. For despite the glorious height of the public monument and the overwhelming public sentiment in the 1860s, the Burke and Wills expedition is a testament of foolhardiness and incompetence, an ignominious defeat tainted with too many blunders and human follies. Led by the inexperienced Burke, the grand expedition was almost doomed to fail from the outset. Just few weeks after setting off from the Marvelous Melbourne, an ill-conceived plan and ineptitude leadership caused successive resignations and departures of expedition members. Series of error of judgment saw the disposal of various stores and supplies, a foolish action proved to be fatal in hindsight. News of a rival continental-crossing plan from home triggered Burke’s insecurity and anxiety, the last straw that eventuated the rash decision of the strong-headed leader to split the team and race more than 1000 km towards Gulf Carpentaria in the fiercest December heat of 50° C. They walked a remarkable 3500 km from Melbourne, almost reached their intended destination, prevented only by the mangrove swamps. Camels and the only horse were slaughtered and eaten on the return journey. Attacks of Monsoonal rain and dysentery ended the life of Gray and brought the exhausted Burke, Wills and King to the brink of weariness. Upon arriving the Cooper Creek depot, the emaciated Burke team was greeted by a deserted camp and an instruction to dig carved into a tree trunk. Inadequate supplies were unearthed, found alongside a devastated message left by the remaining expedition members, notifying the trio that they had arrived too late for the rendezvous. 9 hours too late, to be exact. Arrogant to the end, Burke refused to accept help of the Yandruwandha people, and even, antagonized the indigenous by ridiculously fired his pistol at one of them. Both Burke and Wills died about 10 weeks later. King survived, having accepted the hospitality of the Aborigines. The Burke and Wills statue was commissioned and built, placed above a base of granite plinth with four bronze relief panels depicting the significant scenes from the expedition positioned at each direction of the pedestal. Designed by the Australian sculptor Charles Summer, the gigantic sculpture suffered almost the same nomadic life as its original characters since it was unveiled in 1865. Like a foreign sojourner in search for a permanent residence, the statue was moved from one place to another almost endlessly and tiringly. The intersection of Collins and Russell streets was a short sweet habitation till the arrival of cable trams forced its removal to Spring Street in 1886. Increased traffic around the Parliament and the development of the Underground Rail Loop prompted its eviction in 1973, and saw the enigmatic duo being relocated to the southeast corner of Carlton Gardens. 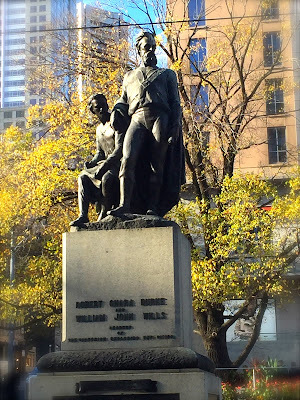 A short 6 years later, the Burke and Wills statue was moved again and settled at the unpopular City Square. A short trip was made to Fitzroy for restoration work, and the huge monument was re-erected prominently at its present location at the corner of Swanston and Collins streets in 1993. With the impending development of Melbourne Metro Rail and plans to take over the City Square, it remains to be seen whether any ill-fate will soon befall the Burke-Wills team again.